As part of its observance of October as National Breast Cancer Awareness Month, students and staff at J.W. Dodd Middle School in the Freeport Public School District raised more than $1,600 to support breast cancer awareness. 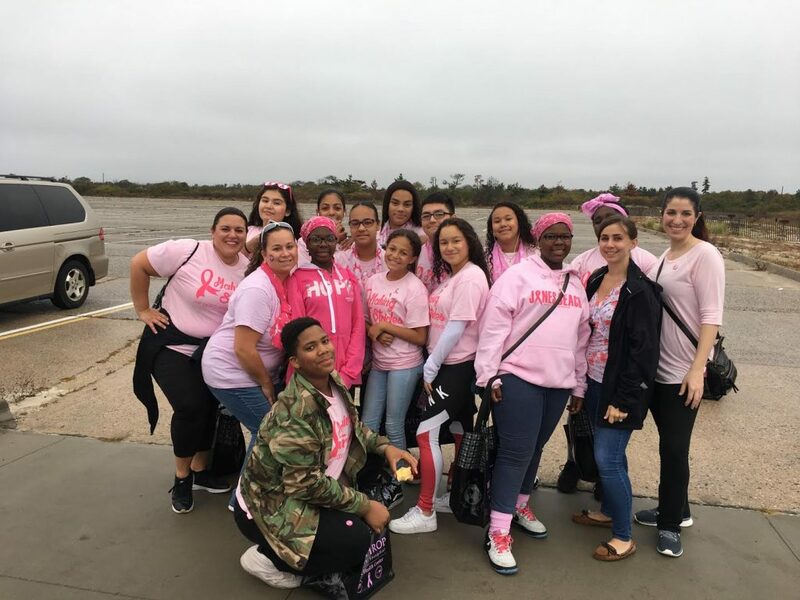 In addition, they participated in a five-mile Making Strides Against Breast Cancer Walk at Jones Beach. The efforts were inspiring ways to raise needed funds for research, honor survivors of breast cancer and raise awareness about steps that can be taken to reduce the risk of getting the disease. 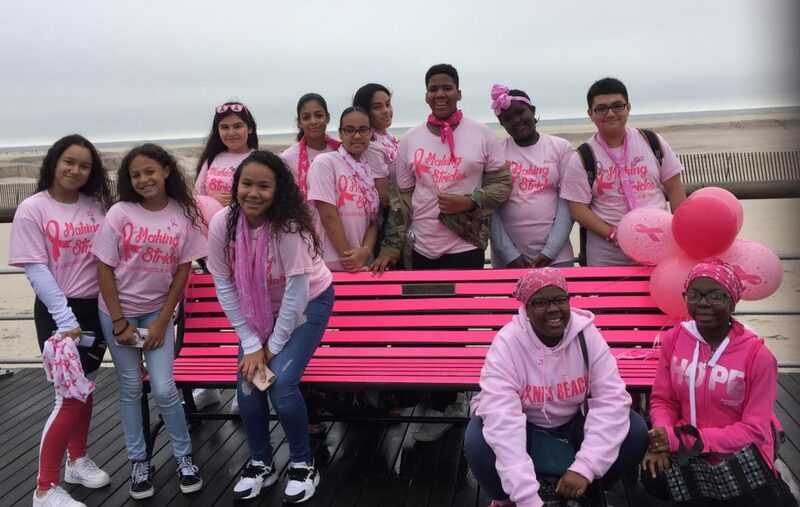 1-2: J. W. Dodd Middle School students and staff participated in the Making Strides Against Breast Cancer Walk at Jones Beach.